The Taliban announced on the 3rd September the death of Jalaluddin Haqqani, founder of the eponymous network in Afghanistan and Pakistan and widely considered one of the most effective warlords of the area. Whilst his death, from natural causes, does not radically change the bearing of the Haqqani network, nevertheless, this incident can be used both symbolically and in concrete terms to further peace-talks. 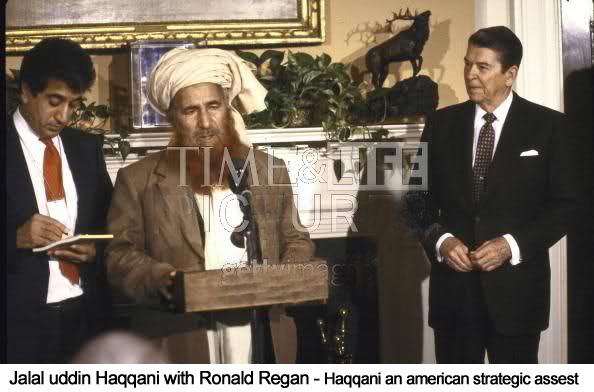 Jalaluddin Haqqani will doubtlessly be remembered as a ruthless warlord, fighting firstly as an anti-soviet insurgent, before becoming an anti-ISAF warlord. He enjoyed powerful partnerships: CIA and Saudi allies during the 1980s, an endearing friendship with the Al-Qaida leadership and an ever-present bond with certain elements within the ISI and Pakistani establishment. Whilst many will probably breathe a sigh of relief at the announcement of Haqqani’s death, not least the families of his numerous victims, the reality is that Jalaluddin had handed over his network and his leadership to his son Sirajuddin who today embodies the “hard wing” of the Taliban movement and who is rumoured to be at odds with the current Taliban leader Hibatullah Akhundzada. As it stands, the movement is still a potent force, with current estimates of ten to fifteen thousand troops (though the notion of “enrolled men” is considerably looser here than in regular army units). The Haqqani network continues to benefit from tacit Pakistani help, as Islamabad regards the network both as a useful tool for influencing afghan politics and a useful Gollum to scare regional neighbours lest the unbridled wrath of the Haqqani network be unleashed upon them. The death of Jalaluddin is nevertheless an important incident- firstly, it is somewhat rare for such networks to remain completely stable and as powerful as before once the original charismatic leader has passed away. Even if the network remains a very powerful force, its current leadership will inevitably be compared to the original founder, and most probably come out of said comparison less well. Furthermore, the appearance of the Islamic State in Afghanistan and the current rift in strategy within the Taliban could signal a slight shift in the afghan powerplay. Such a shift should be exploited, notwithstanding the caution that one needs to exhibit when contemplating volatile peace-talks. If negotiations are to restart, it is vital that the right actors be brought to the table. First and foremost, negotiations must be done in the presence of Taliban representatives as well as a small very high-level delegation from the Afghan government. The negotiations must be overseen by a very small number of mediators representing only the major stakeholders (Pakistan, Iran, China, the US, Europe, Russia) with a strict hierarchy established in order to designate a lead mediator. Finally, a larger circle comprising the numerous stakeholders (UN etc) must be on standby in order to lend their political and financial support to any meaningful agreement thrashed out by the negotiation team. Such a negotiation can only succeed or at the very least work if the people involved (emissaries, mediators) are few and have the authority to negotiate on behalf of their respective entities – ie: it requires a certain “carte blanche” attitude from the stakeholders which in turn necessitates that the negotiators possess an exhaustive knowledge of the issue and sufficient rank to grant personal assurances on behalf of their entities. Suivant Qu’est-ce que le terrorisme?